dancing – Sunshine. Whimsy. Tacos. 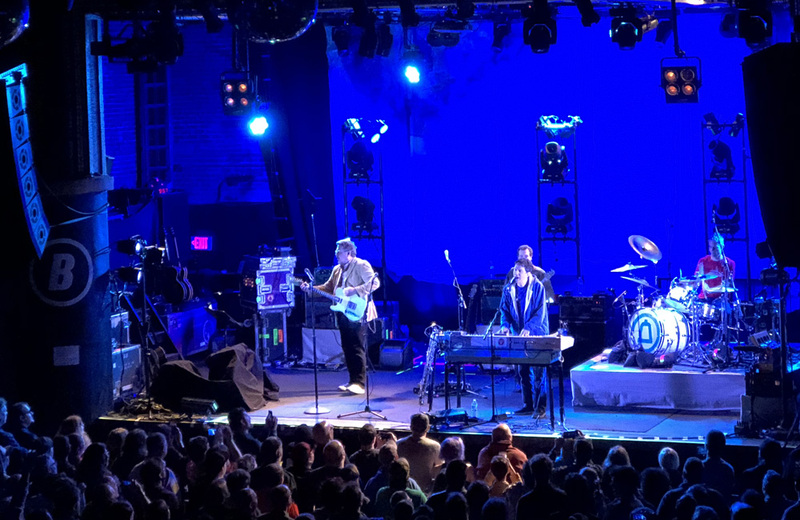 I went downtown to see They Might Be Giants this week. The show was at a venue called The Beacham, which is a large and venerable concert space right on Orange Avenue. TMBG did a rollicking two-set show, where they served as their own opening act. They made jokes about Clippy the paperclip and Phil Collins, and kept their audience thoroughly entertained while doing a combination of their classic hits and their new stuff. While I was listening to “Whistling In The Dark,” I was thinking about the last time I saw this band- twenty years ago, at another show in Orlando. They Might Be Giants played at the Embassy Music Hall in 1998. When I lived in Orlando twenty years ago, the Embassy Music Hall was part of my regular rotation of clubs to go dancing; they had a Wednesday night (as far as I can recall) with lots of 80s and new wave music. I have loads of great memories of dancing there with friends. The Embassy had a regular rotation of amazing concerts. While I was looking up details about the club for this post, I found information about shows by Love and Rockets, KMFDM, Green Day, Primus, The Damned, Collective Soul, The Lemonheads, Snoop Dogg, Marilyn Manson, Anthrax, and Iron Maiden, all from the late 1990s. I got to see TMBG there in ’98, and I also saw Project Pitchfork and Front 242 there. The Embassy Music Hall was awesome. Sometime in 1999, Embassy shut its doors and was re-imagined as a sort of after-hours raver club called Cyberzone. Cyberzone had problems right away, including multiple drug arrests and the deaths of two people. I never went during the Cyberzone era, and the club closed in early 2001. I hadn’t heard much about the place in a really long time, so while I was getting ready to see They Might Be Giants for the first time in two decades, I checked in on the old place with some Google Map action. 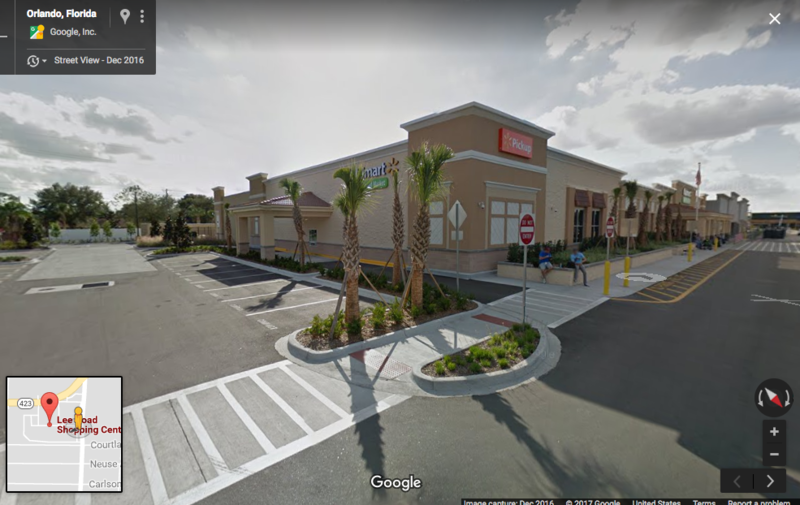 It’s a Wal-Mart Neighborhood Grocery now. Yup, that sounds about right*. *There’s a song on TMBG’s 1992 album Flood called “Minimum Wage.” It uses a whip-crack to hilarious effect. Seems about right. What happened to your favorite places from years ago? During the summer before my 10th grade year, my father and my brothers and I all climbed into dad’s 1986 Honda Accord, and hauled ourselves up the interstate highway into New York. We stopped briefly to see dad’s cousin in Hyde Park, to visit dad’s cousin near the FDR Estate. My flawed thirty-years-ago memory insists that dad’s cousin was a care-taker of the FDR estate, but I may not be remembering that correctly. 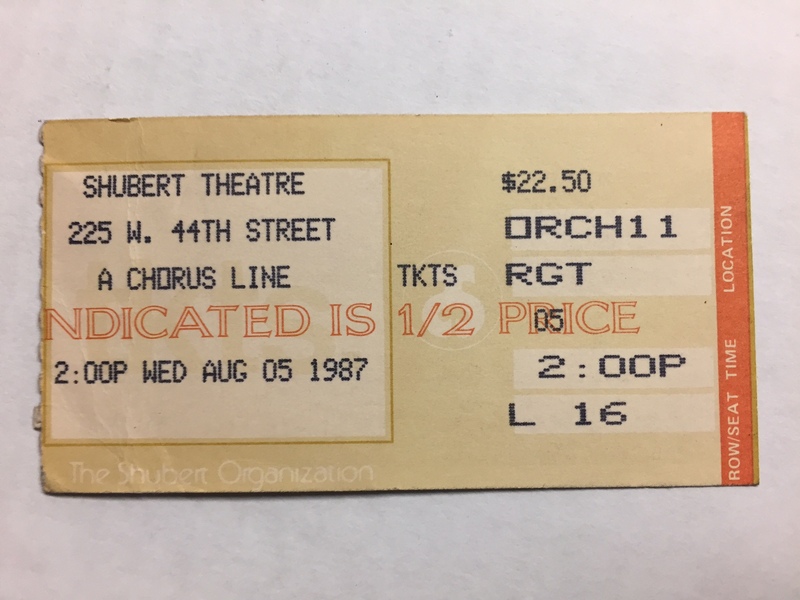 This was the original run of A Chorus Line, which started on July 25, 1975, and was still going strong in 1987 when my brothers and I saw it in 1987. I’m pretty sure dad was behind the camera on this one, because he was definitely with us. 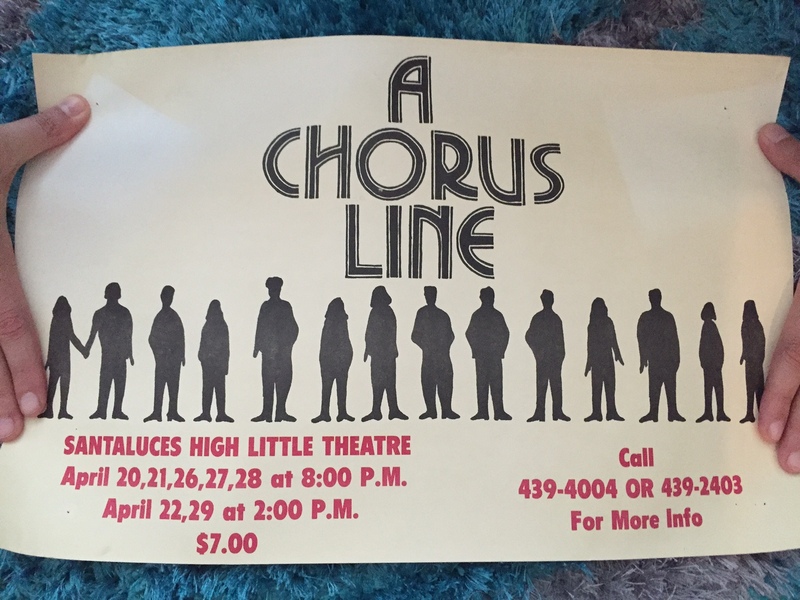 On the last day that A Chorus Line was running on Broadway, another much smaller production was doing its second to last day: Santaluces Community High School, in Lantana, Florida. When I was a senior in high school, I didn’t know anything about gay people, so I had no idea that playing a gay person on a high school stage in 1990 was a big deal until years later. What I did know was that I’m a mediocre tap dancer at best, and that I looked damn good in gold lamé. I’ve been able to keep track of a few of the cast and crew members over the years, mostly through the evil web of Facebook. A precious few of the folks in this photograph have been excellent friends to me for the entirety of the twenty-six years since the show (and high school) ended for me. If you know where to look, my good friend, fellow blogger, and Huffington Post overnight editor Jade Walker is in the cast photo below. As for me, I’m in the front row, fifth from the left. And I still think I look good in gold lamé. 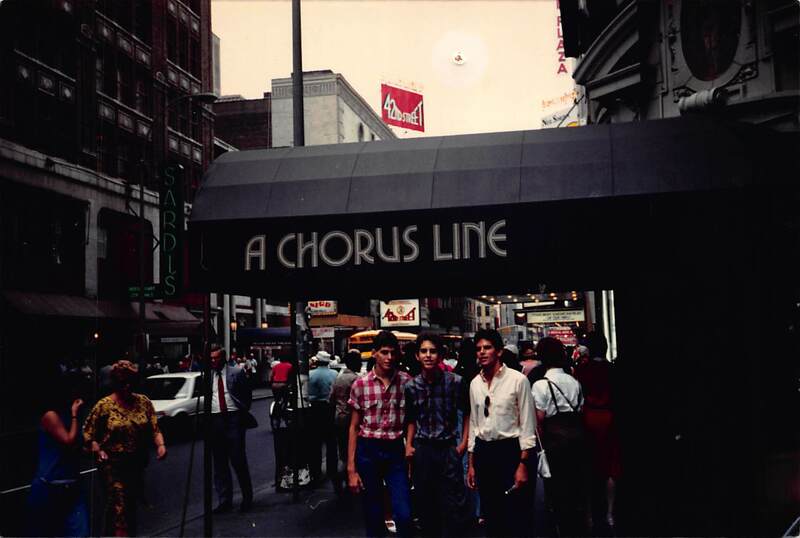 What was the first musical you saw on stage? 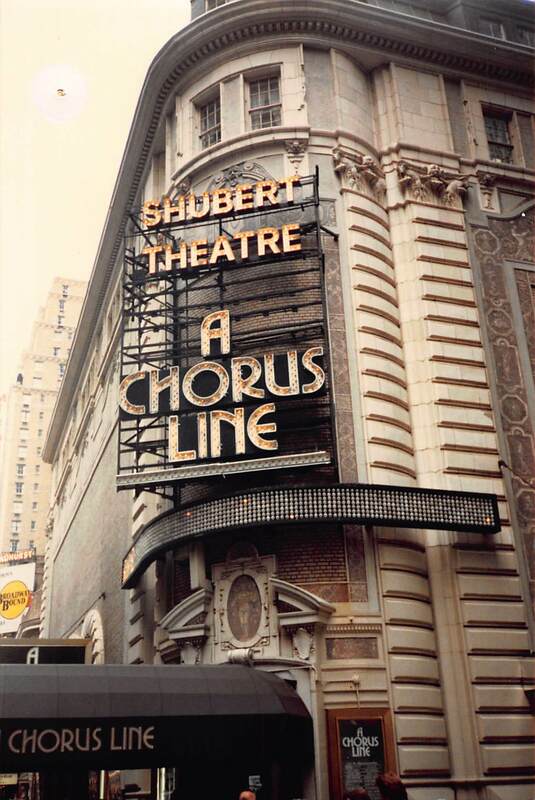 If you were in drama in school, what was the first show in which you took the stage?